It was everything you would expect from a rivalry game. 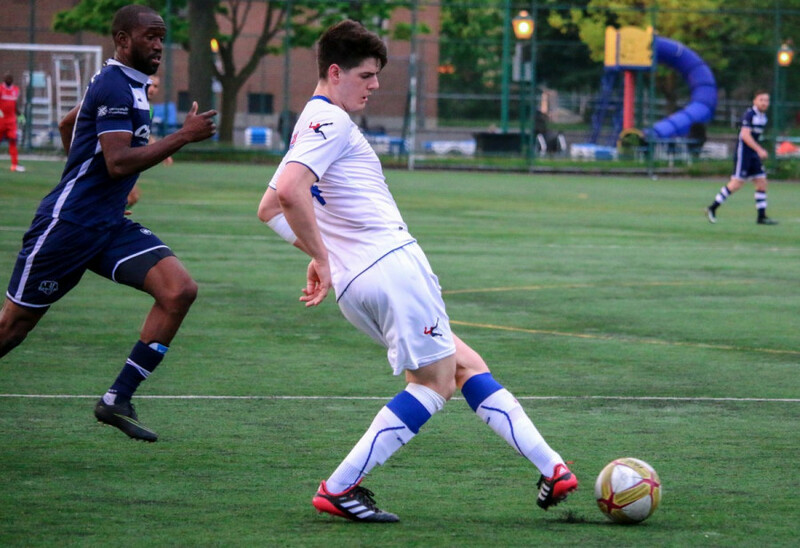 Emotions running high and both teams hungry to reap the rewards, Club de soccer Mont-Royal Outremont Griffons and Association de Soccer de Blainville faced off in a midseason battle for first place. You could almost smell the tension brewing as the match proceeded. Sitting at the top of the Première Ligue de soccer du Québec standings, AS Blainville were just two points ahead of the Griffons. With first place on the line, the intensity of the game rose with every passing minute on Saturday night at Parc Blainville. The first half would see two players sent off after being shown straight red cards by the referee. With five minutes left in the first half, Griffons defender Louis-Philippe Campagna and Blainville midfielder Hoshang Noor Ali would exit the game after an altercation between the two escalated, with both teams holding their players back. 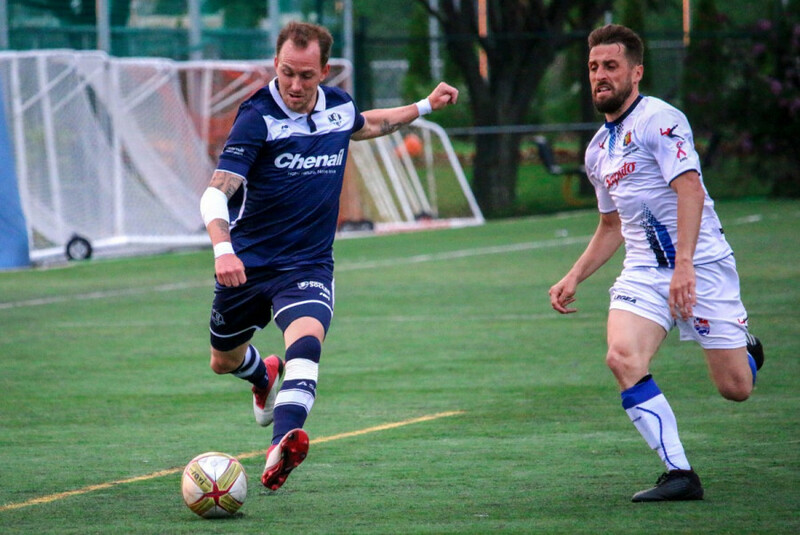 Both sides’ mental strengths were put to the test, but Blainville’s composure and efficiency on set-plays paid off in the second half, allowing them to come away with the 2-1 victory. Blainville’s goals came from their ability to take advantage from free-kick situations. Pierre-Rudolph Mayard struck the first goal of the game after scoring a free-kick, leaving CS MRO goalie Nizar Houhou flat footed. After Griffons captain Sean Rosa levelled the scoring early in the second half, Blainville would take advantage of a corner kick. Maxime Leconte’s delivery to the far post found team captain Nafi Dicko-Raynauld, who’s header would win the game for the home side. “This was a really important win, the two best teams playing against each other. We were just two points above them. 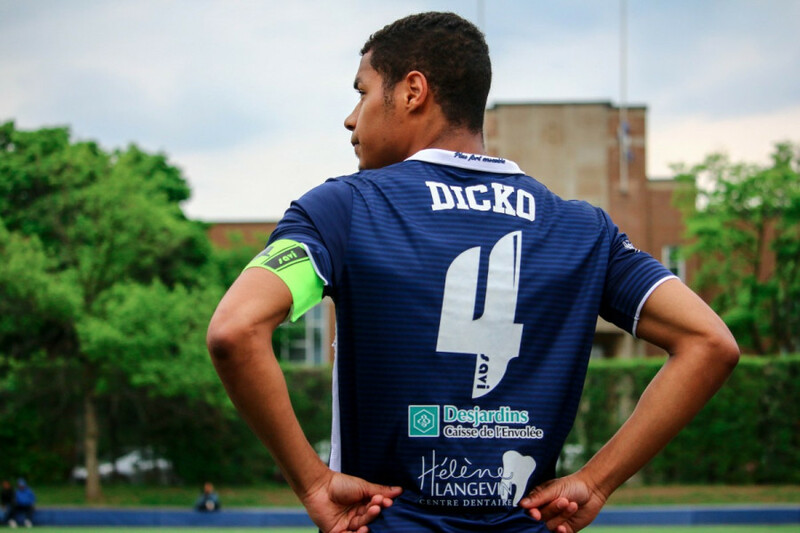 We got the win, so yeah we’re really proud and really satisfied,” said Dicko-Raynauld. While Blainville were celebrating the win, and extending their lead to five point in the PLSQ standings, on the other side of the locker rooms the Griffons were left leaving with their heads down. Brutus shared his captain’s sentiments, stating that the team will take a step back to assess their front line, and to improve the Griffons finishing in front of goal. Though the Griffons trail the top spot by five points, Dicko-Raynauld hailed their opponents improvement’s on the field. With a whole second half of the season remaining, Griffons will look to “bounce back quickly as of next week,” said Rosa. With ten games remaining, Rosa doubts Blainville will remain undefeated. “We play [Blainville] one more time, […] so we just got to wait for our opportunity and pounce and try to be consistent as possible and take it game by game,” he continued. CS MRO will host last place FC Lanaudière next Sunday night, in a match Brutus promises to be a positive result for the Griffons. “We’re gonna get a result next game, that’s for sure. The season is not over. It’s far from over,” said Brutus.